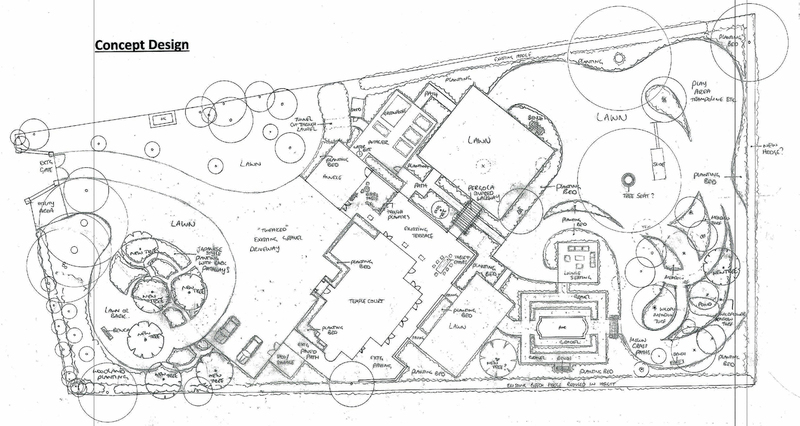 I’ve been drawing the design for a large garden in Hurley this week and it involved rather a huge chunk of time working out where all the radius points of my free-hand curves were. 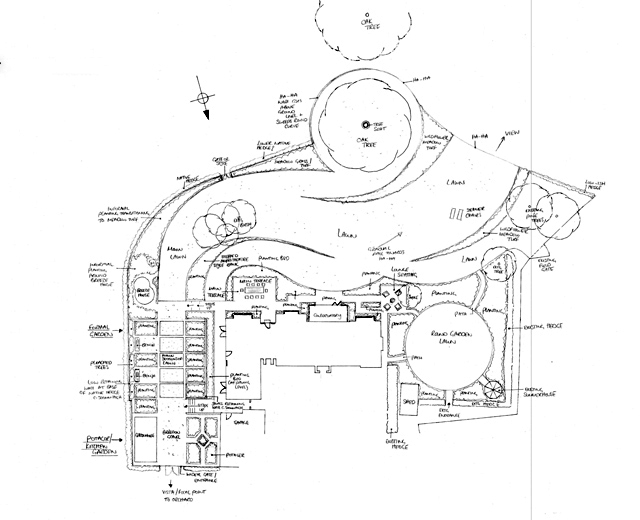 You may ask why I need to spend time doing that, but without knowing the exact location, the landscaper won’t have a hope of being able to set out the design on the ground. 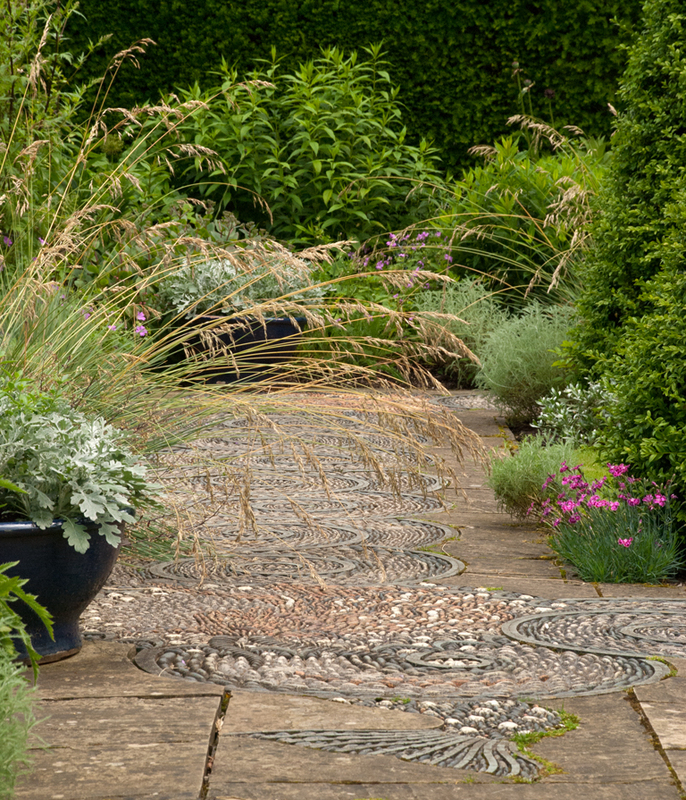 Curves can be tricky beasts to work with, but in large informal gardens you wouldn’t really imagine anything different so it’s really helpful to know some of the rules before you get started. 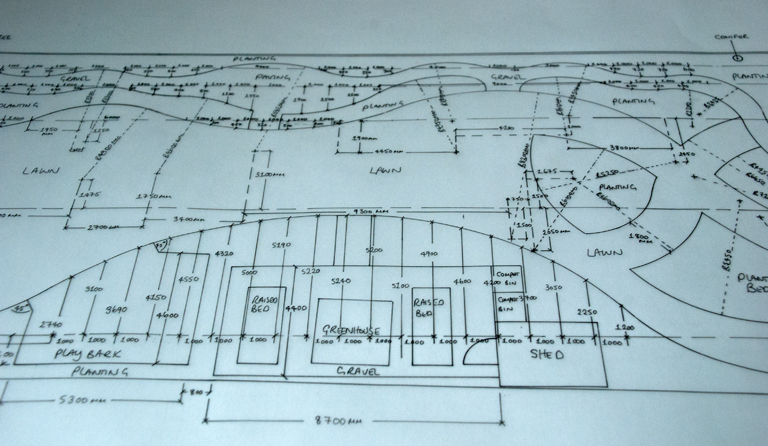 When I’m starting any design I lay a piece of tracing paper over the survey. This allows me to get a real sense of the space and how the garden connects to the house and the areas immediately surrounding it. There’s something about the connection between brain, hand, pencil and paper that really allows you to get a sense of the space and the way it flows so if I ever get around to moving over to using CAD, I’ll always go through this process first. When I work with curves I move the pencil a lot, creating arcs that feel right within the boundaries of the garden. It’s always easier to use them in large gardens because they have the space to breathe. 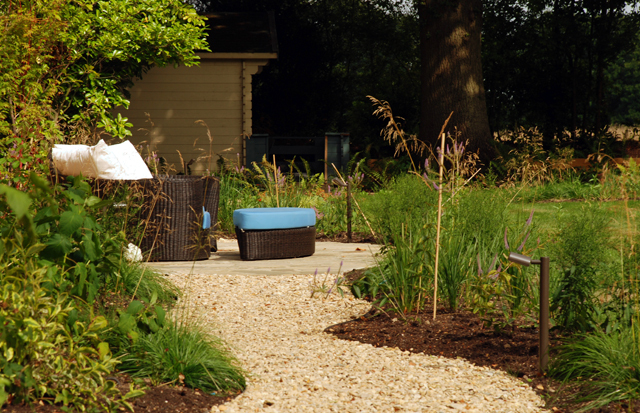 In smaller gardens it can often be tricky sometimes to keep them comfortably within the confines of the space. Somehow they just don’t feel as comfortable to work with. When you design a garden you have to trust the paper. If it feels right on paper, it will feel right on the ground, but remember that you won’t be looking at your garden from above so the perspective of a curve may feel very different when you’re looking at it head on. A true circle on plan for example will look elliptical as you stand and look at it so you may have to adjust the shapes in order for it to look how you intended it to from a three dimensional point of view. Circles and squares can be tricky to marry up too, often better kept separate and linked in an elegant way. The most important thing in this situation is to ensure that any linking spaces run into the radius point of the curve. 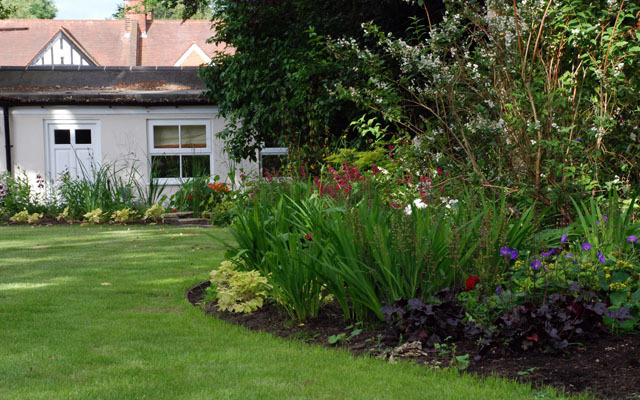 This will ensure that the connection is comfortable and balanced and you won’t be left with any awkward angles in the adjacent planting beds.